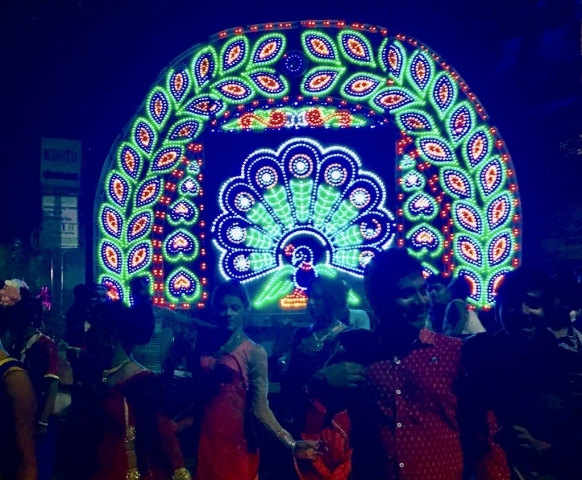 Photos of the India Walks can be found HERE. 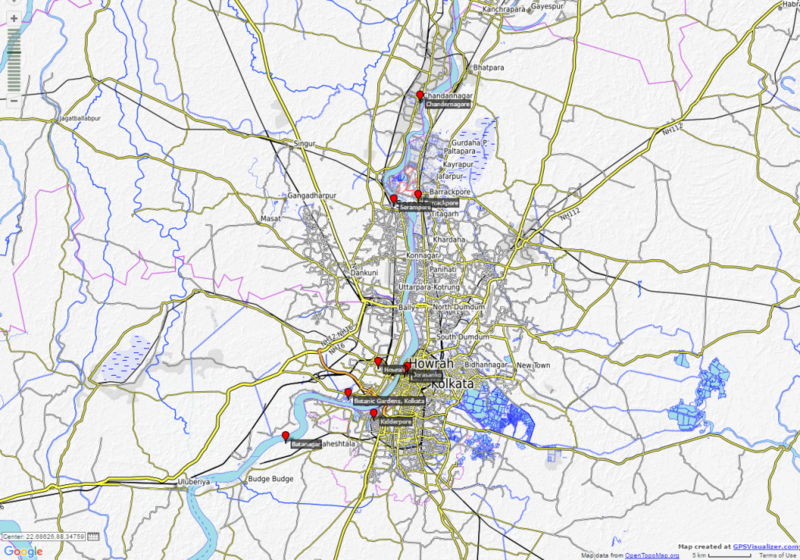 All of Kevin Rushby’s blog posts about the India walk. 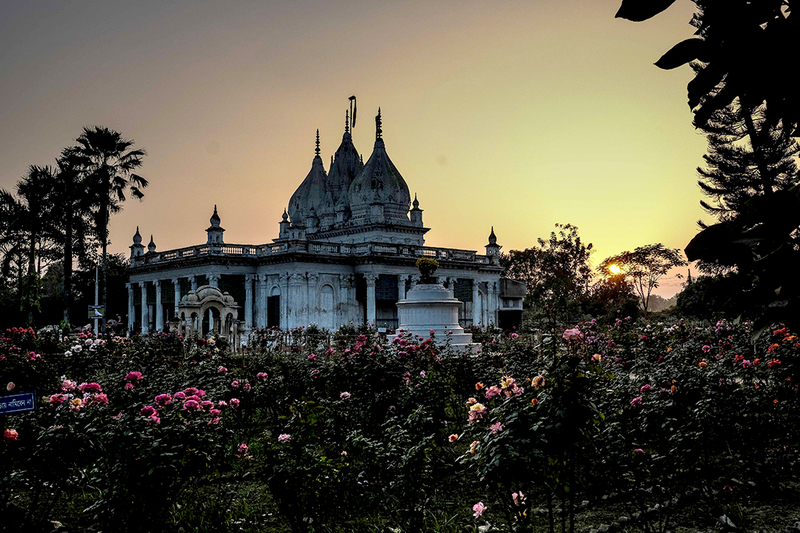 A unique 10 day journey down the Hooghly from Murshidabad to Kolkata. 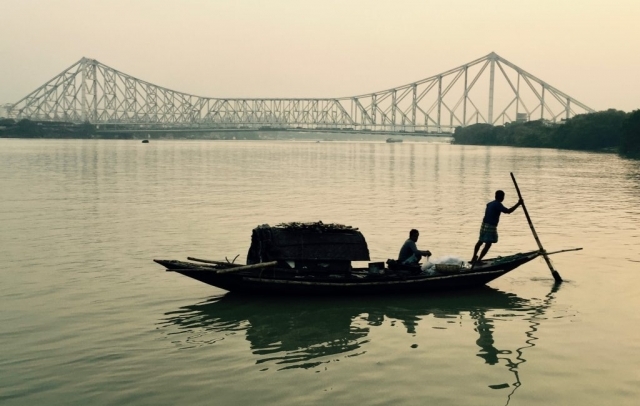 The Silk River project explored the unique relationship between London and Kolkata through artistic exchange between communities along the Thames Estuary and India’s Hooghly River. 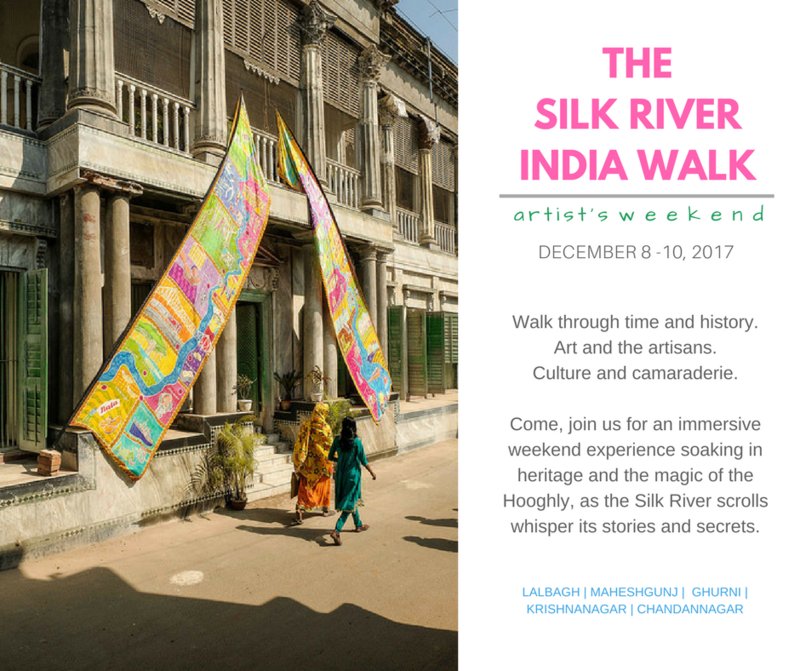 Each community created a 6 metre hand-painted silk scroll that is a visual narrative of their walk. Every day, a core group welcomed two new scrolls carried by participants, building up to a grand finale as we walked back into central Kolkata with all twenty of the spectacular Silk River scrolls. Download the archived flyer here, or read below. This was an immersive weekend experience soaking in the heritage and the magic of the Hooghly River, as the Silk River scrolls whispered their stories and secrets! 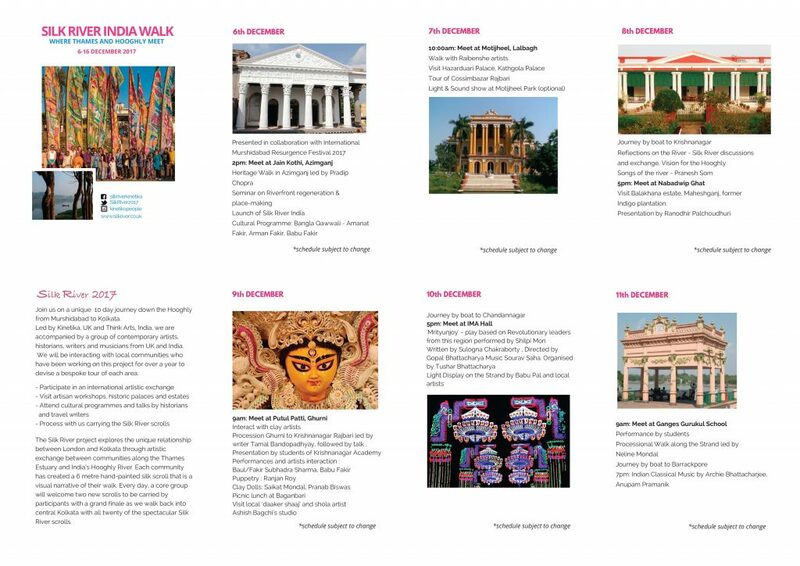 We walked through time and history in Lalbagh, Maheshgunj, Ghurni, Krishnanagar & Chandannagar. 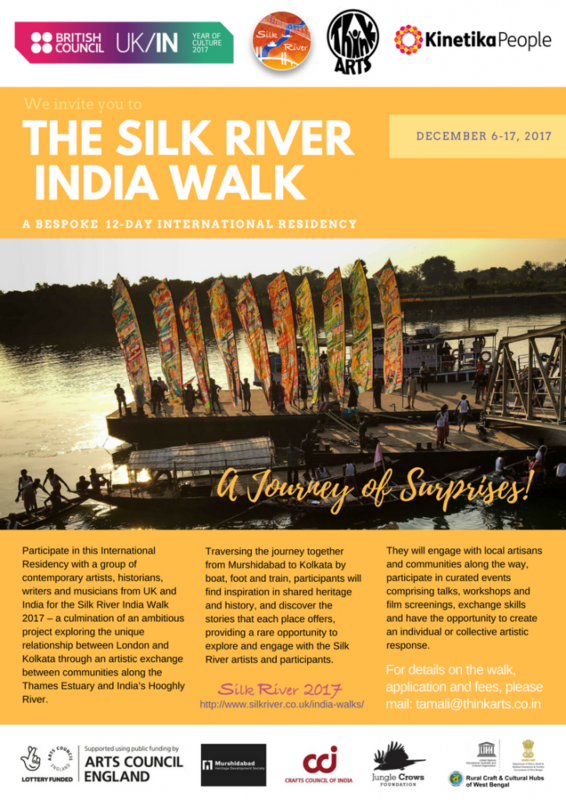 The Silk River India Walk offered a unique opportunity for artistic exchange based on the year-long Silk River project. 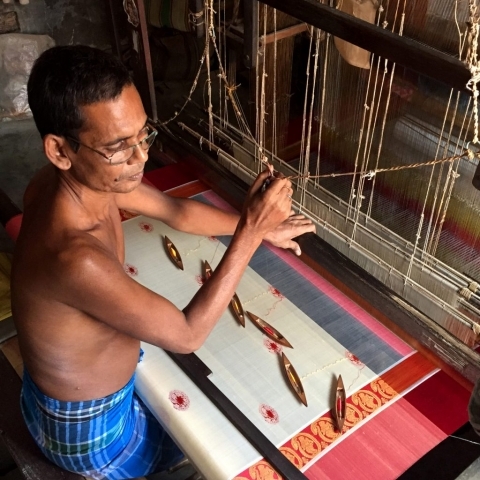 Indian artists were invited to this exchange with 15 visiting artists from the UK and Kevin Rushby, eminent travel journalist covering Silk River for The Guardian. 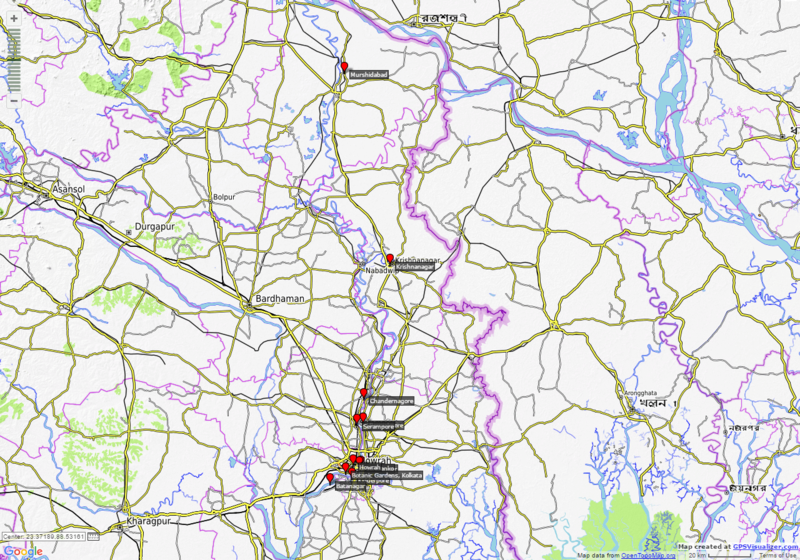 10 am : Walk from Ghurni to Krishnanagar Rajbari, along with students from Krishnanagar Academy. Led by Tamal Bandopadhya. 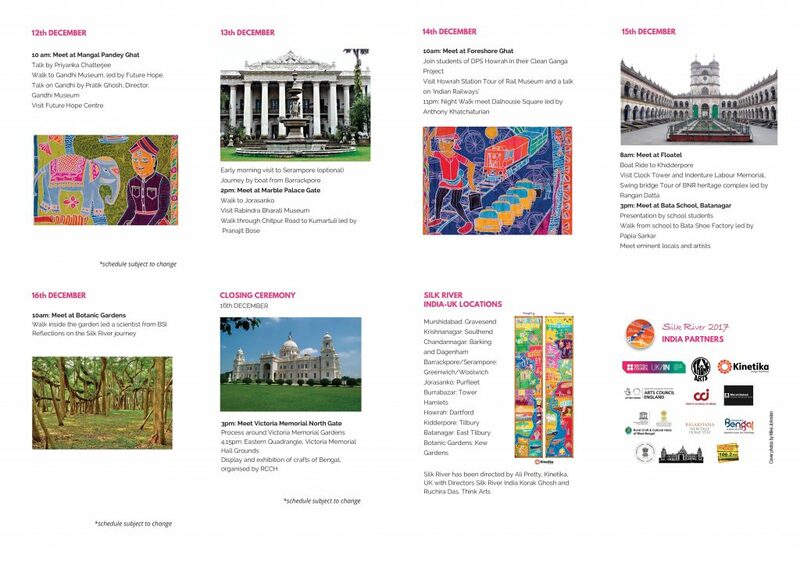 For participants not on the full programme, there was a participation fee of INR 10,000, payable in advance. Fee included all meals, local transfers, cultural visits, 1 night at City Hotel, Motijheel and 2 /3 nights on boat provided by West Bengal Tourism Department. For a printer-friendly version, click this link: Artists’ Weekend.